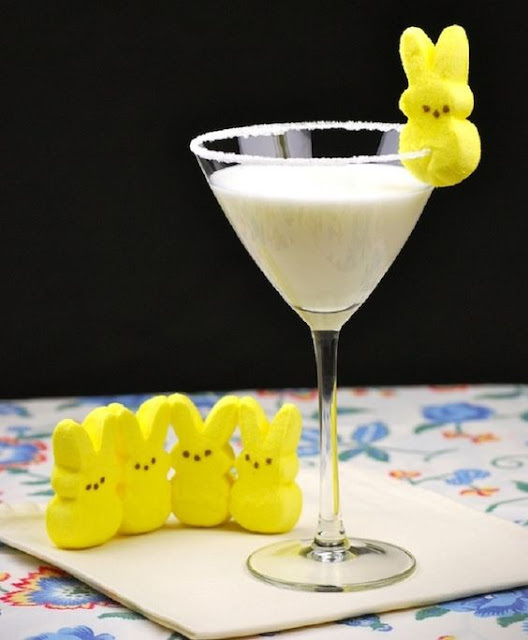 Just for fun - how about inviting some "peeps" for Easter weekend? 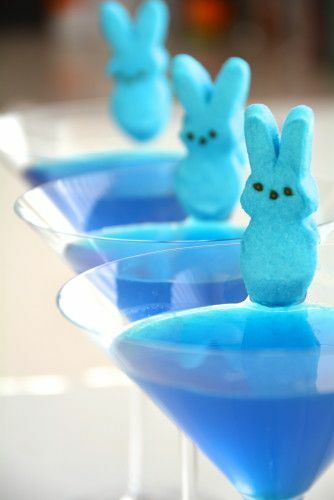 We've been collecting ideas on our Easter Pinterest board for quite a while and if you need some whimsical Easter brunch cocktail ideas to add to your Easter weekend celebrations, we have 7 easy ideas for you! 1. Peeps Pool Party! Love love love the blue - recipe below! Make simple syrup by microwaving 1 tbsp. sugar and 1 tbsp. on high for 30 seconds. Stir for 30 seconds. Pour simple syrup onto a saucer. Pour sprinkles on a separate saucer. 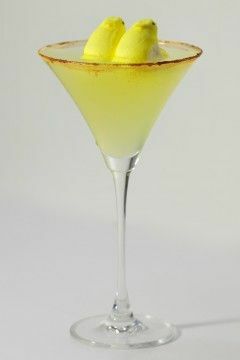 Dip martini glass into simple syrup and then in sprinkles to create a candy rim. In a shaker, pour Marshmallow Vodka and Cranberry Juice over ice. Shake for 30 seconds. Strain into rimmed martini glass. Garnish with Marshmallow Bunny Peeps. So darn cute!! Put marshmallow chicks in a glass jar or bottle and top with vodka. Cover jar. 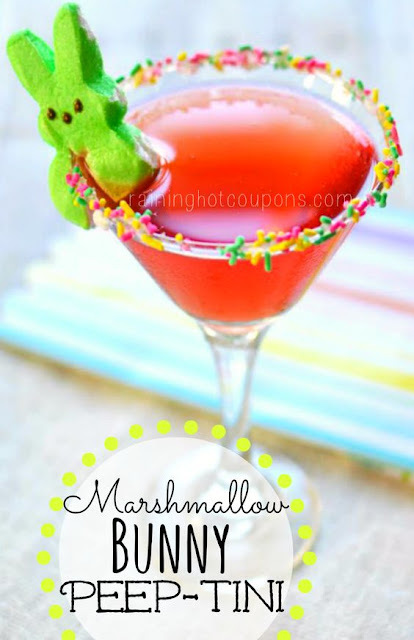 Allow marshmallows to sit until colored coating is dissolved into the vodka and marshmallows are mostly dissolved, 2 to 3 days. Strain marshmallow pieces out of vodka. Pour vodka back into the bottle or another airtight container. Make Martinis like normal! If it's a little too sweet, just add a little bit of lemon juice. 6. 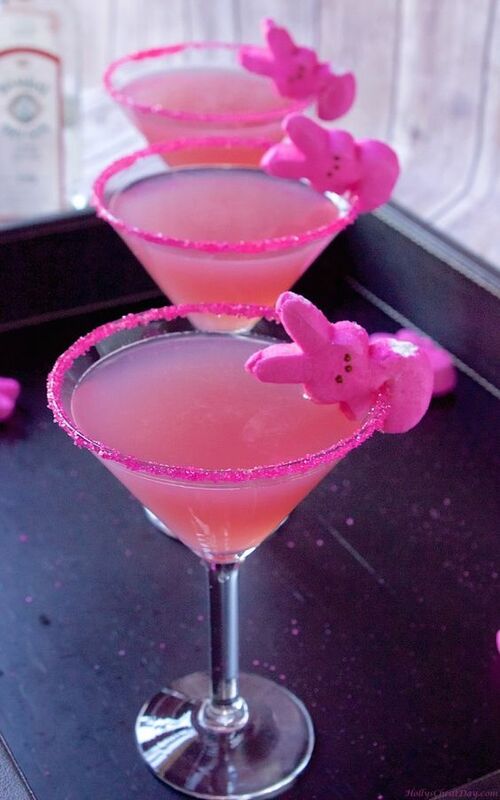 Cherry Cocktail Bunny Peeps! Need some cool coastal or tropical glasses? We have lots of great ideas for you - order NOW before the guests arrive! 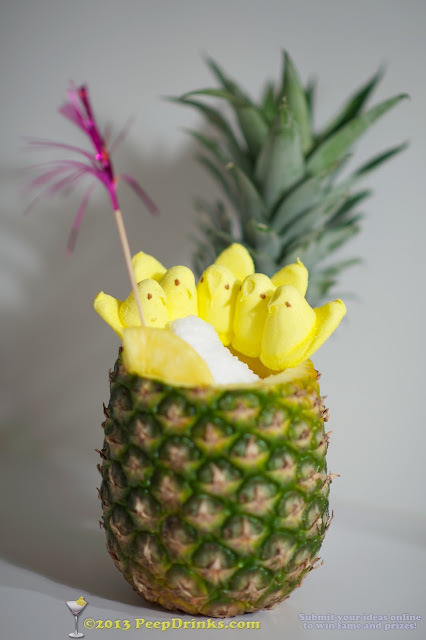 Have fun planning your Easter Brunch Party - Would love to hear if you try one of the Peeps!